This show brings Maths to life with lots of fun, laughter and audience involvement. ​It demonstrates that Maths isn't boring. We start by asking why is maths important? We explain maths is everywhere. You go shopping how do you work out how much change you should be getting back.........Maths. If you want to build a house how do you work out how many bricks you need........................Maths. Want to drive from London to Birmingham and work out how much it will cost.................... Maths. You go to the cinema and buy a drink and food, how do you work what it will cost…............Maths. Working in a shop how much change to give back................................................................You Need Maths. If you want to be a pilot…........................................................................................................ You need maths. Shows last for 50 minutes. The are three amazing tricks demonstrating the power of maths and importance of numbers. On the day we teach the children two tricks that has addition, subtraction, multiplication and division in them. We give you the instructions so children can take these home, impress their parents and do maths at the same time. Target audience is Key Stage 2. Teachers classroom follow-on resource pack is available. If you have any questions please call Eugene Matthias on 07730 111111. We demonstrate the power of numbers in magic by performing three tricks. 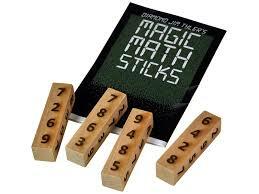 We then explain how the tricks are done and how maths and numbers play such a big part. Children from the audience mix up four numbered blocks. Teachers and children are given calculators to add the numbers up. ​The performer using his mind adds the numbers up in less then 5 seconds. Three children each pick a number, they are doubled and the new number is used to select a page and line in a book. The performer then amazes everyone, without looking at the book he tells everyone what is on the chosen line. I Predict You Will Choose? 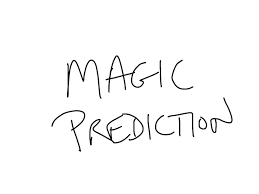 A prediction is handed out to a teachers at the start of the show. A child picks numbers off a board leaving only four numbers on the board. When these numbers are added up they are the same as the total in the prediction which was handed out at the beginning of the show. I have spoken to Michelle, who was the teacher involved and together we feel that the children were engaged throughout the whole show and the importance of Maths messages were made very clear. We would definitely recommend it to other schools.